Keep your working environment clean and safe. 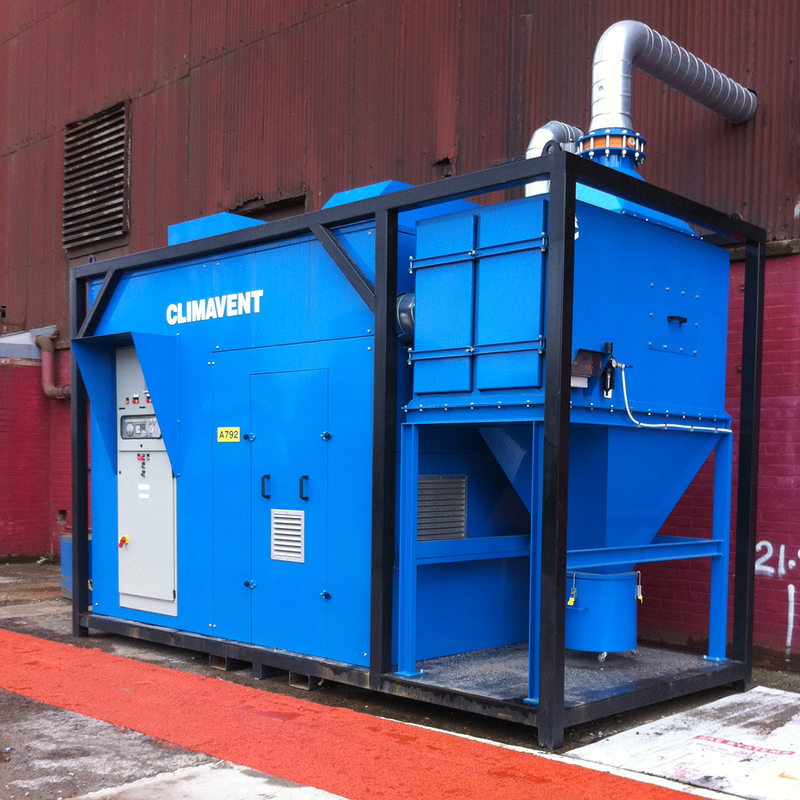 Climavent’s mobile or static high vacuum dust and fume extraction systems remove contaminants including dust, powder and swarf from your factory areas, filtering and collecting contaminants in your IBCs or waste skips, and recycling clean air back into the workspace. Welding fume extraction: Our range of arms, booms and magnetic suction nozzles are suitable for most applications, and compatible with all makes of welding torches with integral extraction facility. 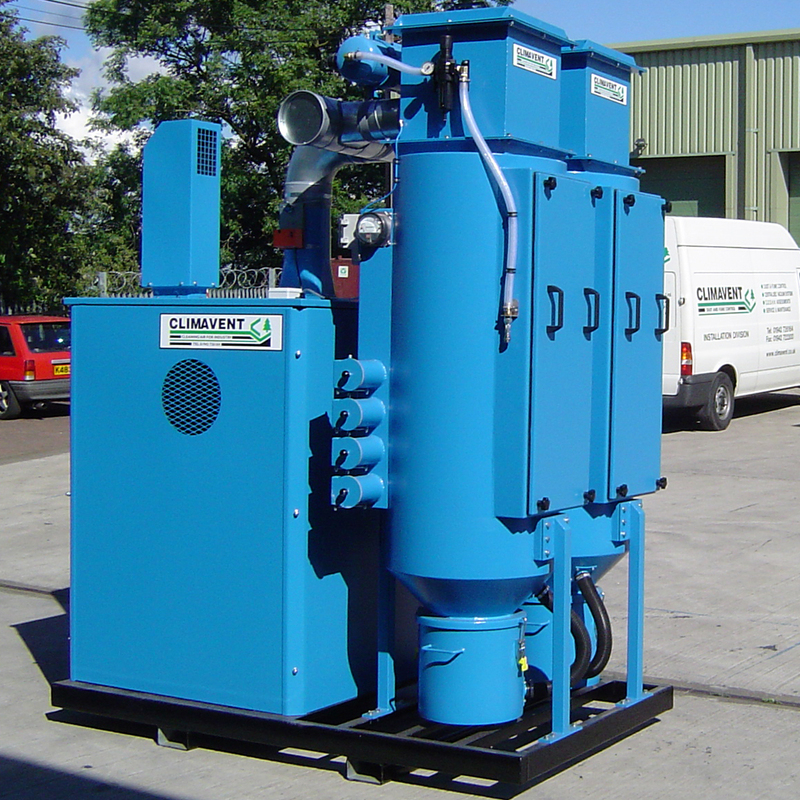 Centralised vacuum cleaning: Ideal for industrial waste removal, general housekeeping, and for sanding and finishing applications. Tools and hoses are compatible with all power tools with integral extraction facilities. 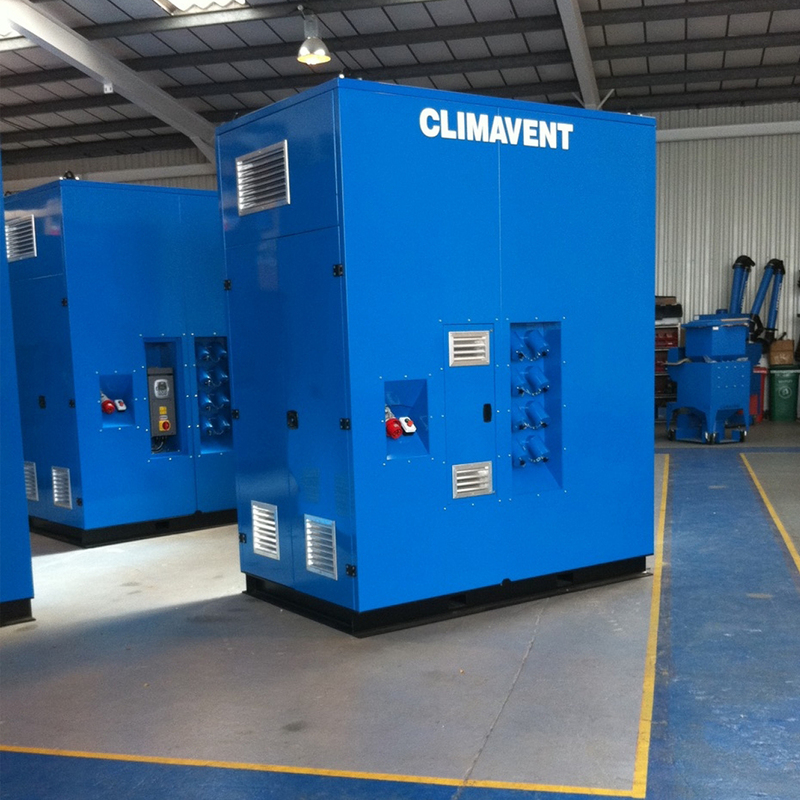 To bring Climavent’s high vacuum fans and filters to your business, or to discuss larger quantities or abrasive material extraction, please get in touch.